In Europe we’ve been signing documents for centuries. If you couldn’t write you used to get someone else to fill in forms for you (hence the variations in spelling of some surnames) and you marked the paper with a cross. 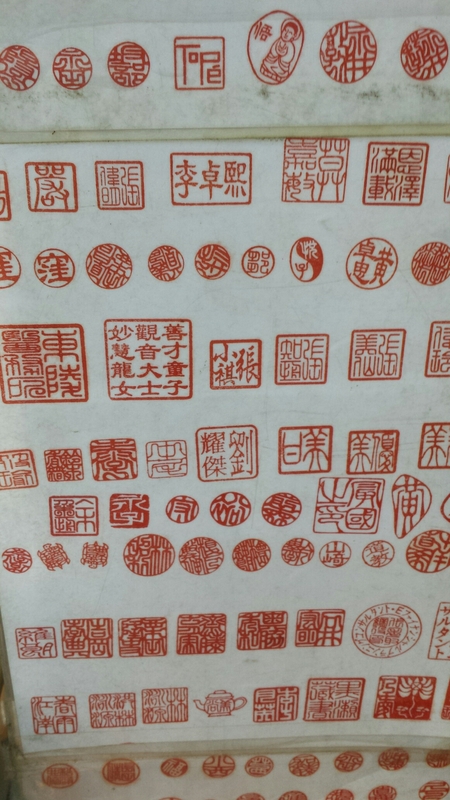 In China people used a stamp, known as a chop, to “sign” documents. I’ve read that they used to say that whoever held the chop in a company holds all the power. Whilst this practice has changed and signatures are becoming more common, you can still get a chop made. I’ve seen places selling chops all over South East Asia, and have liked the idea of owning my own chop, but was always unsure as to how good a chop made by someone who sold chops as a sideline, as part of a gift shop. 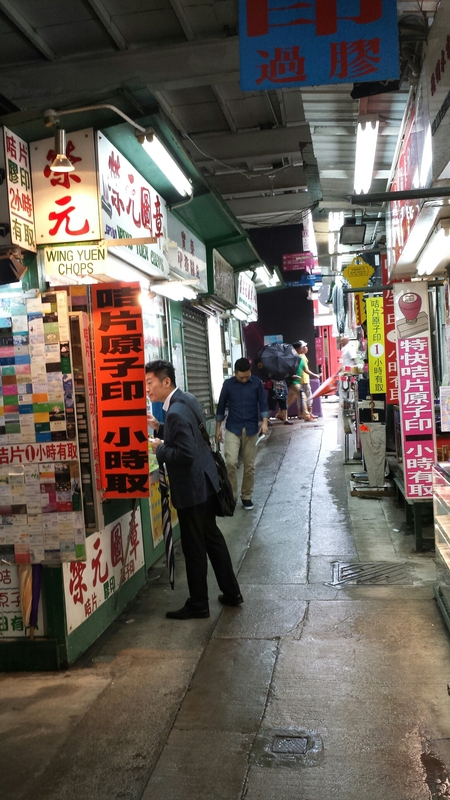 Hong Kong however, has an alley of stalls specialising in chops. Man Wa Lane, known as Chop Alley, is in Sheung Wan on Hong Kong island. Choosing a stall to use was hard as they all appear pretty similar! I eventually chose to use Hung To Chops and Printing. 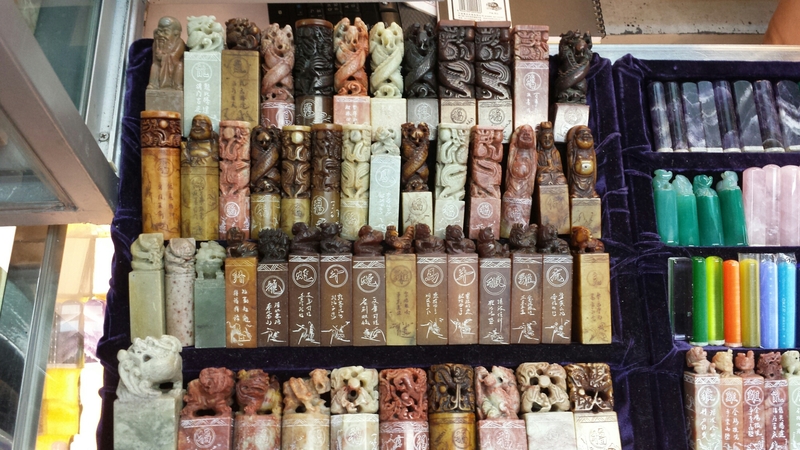 Like many of the stalls on Man Wa Lane, the stall sells more modern stamps as well as the traditional chops. 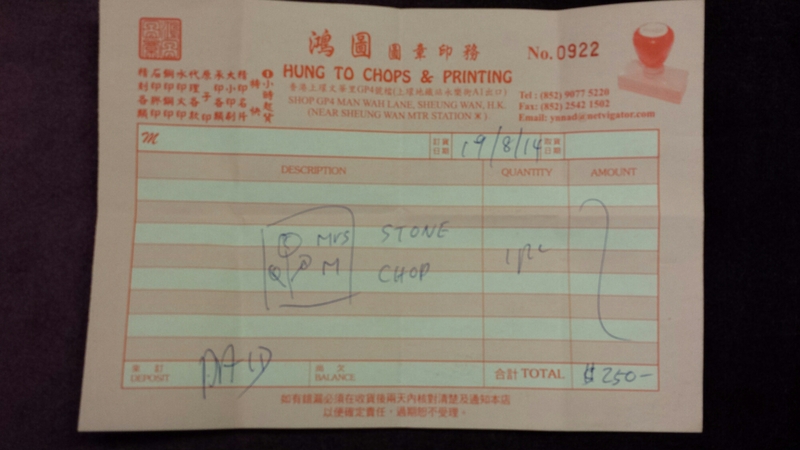 I had lots of stone chops to choose from (as well as other options). 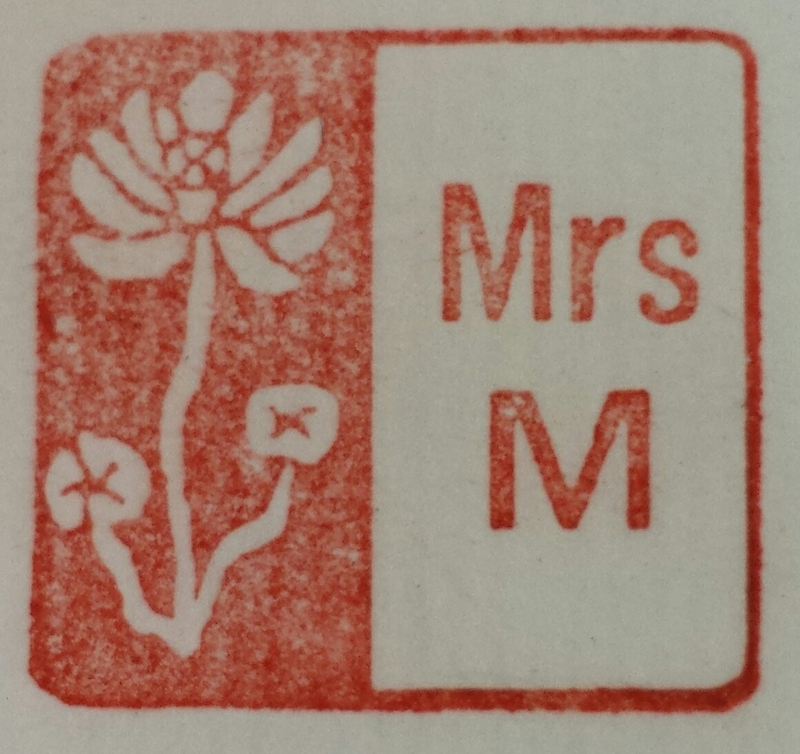 I previously had decided I wanted to have Mrs M on my chop, along with a flower. I went through rough ideas with the chop maker and we eventually sketched out a design on my receipt. The chop would be ready in just over an hour, but I wanted to keep sightseeing, so I waited a whole day! I’d chosen a chop with two dragons twisted together. 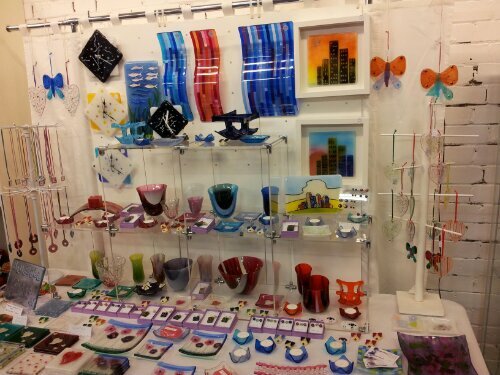 This afternoon I popped into the centre of Maidenhead to the Craft Coop pop up shop. Craft Coop aims to support artists / crafters in the community. They showcase local talent, help them collaborate and give them an opportunity to sell their goods. They also run workshops and activities for all skill levels. 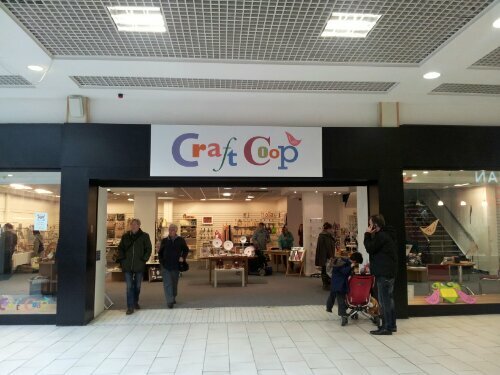 The pop up shop is currently in the former Waterstones store in the Nicholson centre. It looks great and there were always people coming and going whilst I was there. If you are based in or near Berkshire I recommend popping in! You can find more information at the Craft Coop website. The list of all the crafters involved is here. Their facebook page is a good way of keeping up to date with what’s going on. I might see you there? I frequently only need a relatively small piece of fabric, but to do so I will often buy 25cm or 30cm of the fabric I need. This means I often end up with lots of fabric in my stash, which isn’t necessarily a bad thing, but I have to find somewhere to store it all! I know you can buy fat quarters, but until recently I hadn’t done that much. 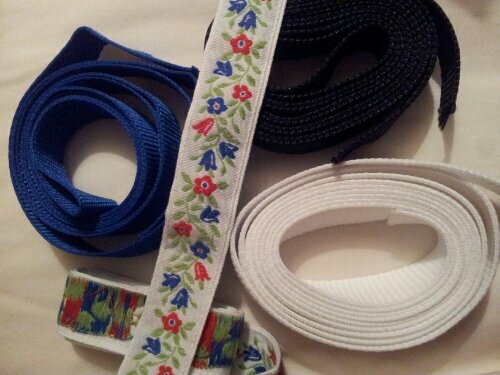 Fat quarters can also cost quite a bit more than 25cm of a roll. How can you get the fabric you need without either breaking the bank or ending up with lots of extra fabric you don’t want? 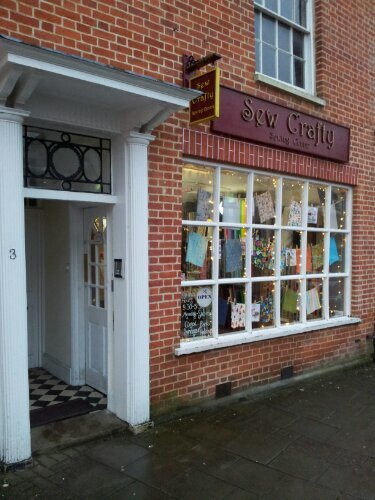 When shopping for fabric for my making your own clothes course I went to a wonderful little shop in Maidenhead called Sew Crafty . 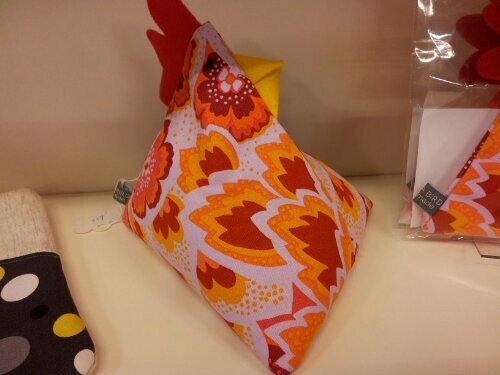 Sew Crafty is a brilliant haberdashery which stocks virtually everything you need. 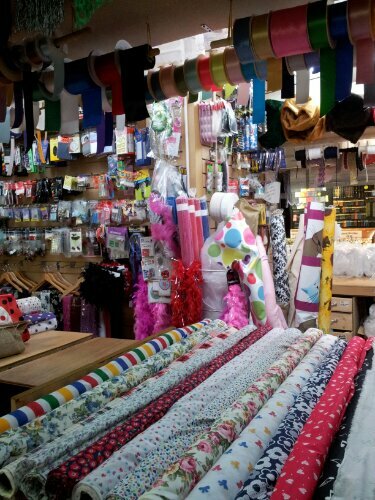 I was amazed by the range of goods for sale, from ribbons to buttons and much much more. Being a bit clueless when buying fabric for dressmaking, I was very grateful for the very helpful assistant who ran through suitable material with me and dealt very patiently with my questions! I will definitely head back in the future. So why is this post titled “Fabric Scraps”? Well, Sew Crafty have a couple of baskets selling scraps of fabric. They vary in size, but crafters (probably not dressmakers!) would be able to make use of them. I much prefer that people find a use for these rather than they end up in landfill. This is the only place I’ve seen recently that does this. 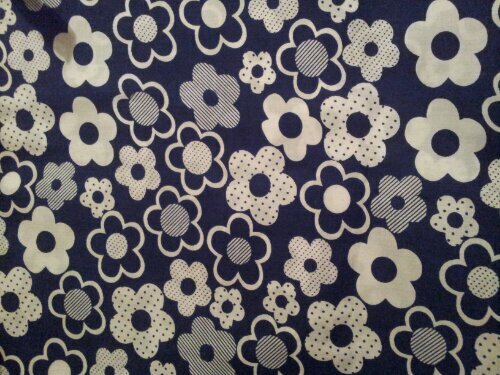 This 28 x 24cm piece of fabric would be great for appliqué or cover buttons. 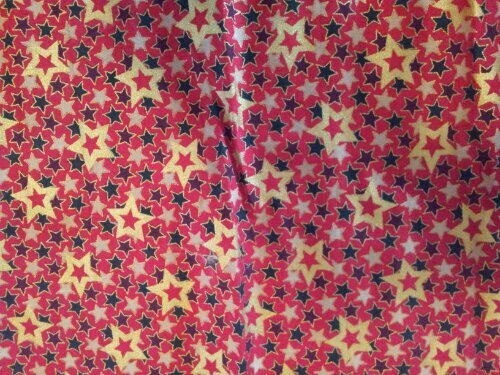 I can see a small Christmas gift bag being made from this 35 x 27cm piece of fabric. 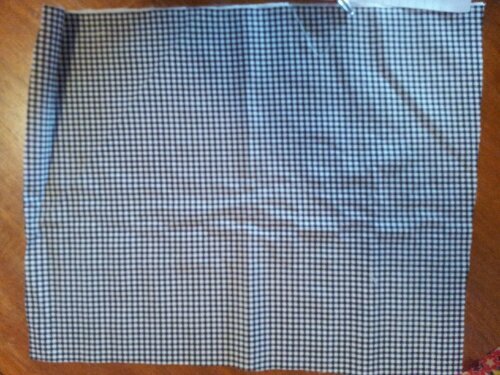 I don’t yet know what I’ll use this 44 x 36cm piece of black and white check fabric for, but I will find a use for it! It’s quite thick and feels really good quality. 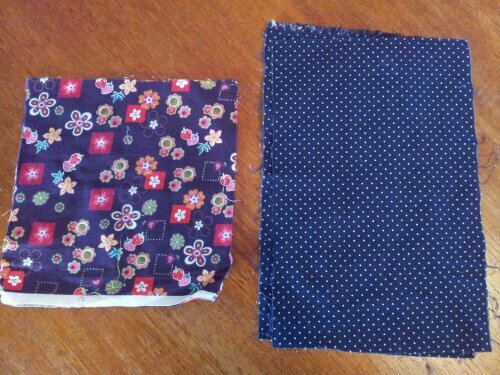 They also sell smaller scraps for 20p. I will definitely root around in fabric scraps baskets again after these great finds. I found some lovely bits for not much money. What would you use the fabric for? Cardiff – I love that city! Everytime I go to Cardiff I discover something / somewhere new. Cardiff is a convenient meeting place for me and two of my closest friends as we can all get there relatively easily and no one travels too far, despite living hundreds of miles apart from each other. We only meet there roughly once every eight months, but it is a time to enjoy when it’s just us girls – no men or kids are allowed! started blogging and then recommended to my very small readership that they should visit the arcades. This trip I allowed myself a little shopping time before the others arrived mid morning to explore more. Despite getting up early and leaving earlier than I do on a work day, once I got to Cardiff I was very glad I had this time. 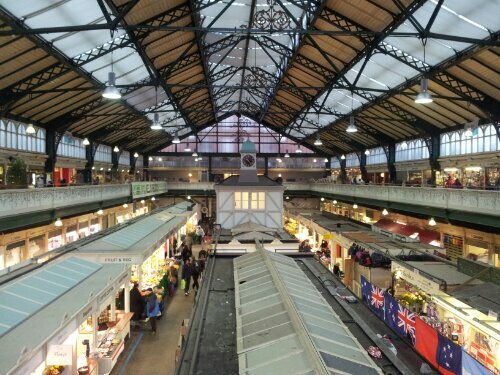 The market has virtually everything you could need: butchers and bakers (but no candlestick makers), pet stalls, cafes and of course a few more stalls that I was interested in. 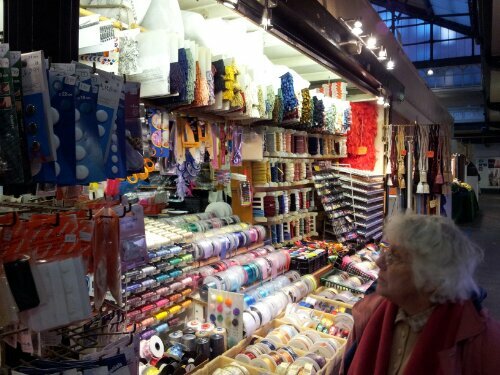 The first one I stumbled across was a haberdashery stall. 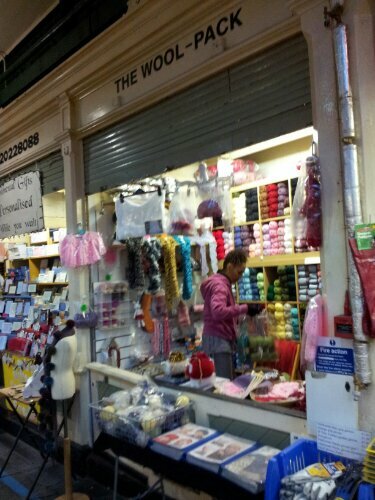 Just down from the haberdashery there is a little wool stall. The woman behind it was very friendly despite still opening the stall up (it was roughly 10am). She had really cute teacosies and knitted bears for sale as well as needles and a fair selection of wool. 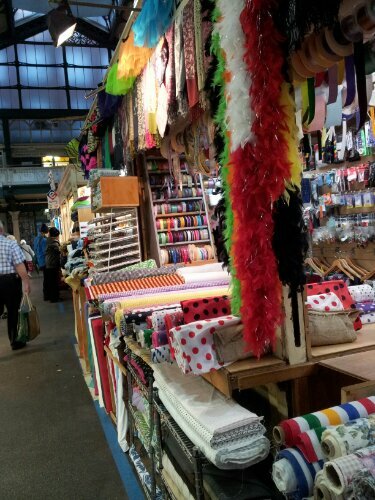 The final stall I was interested in was a fabric stall. 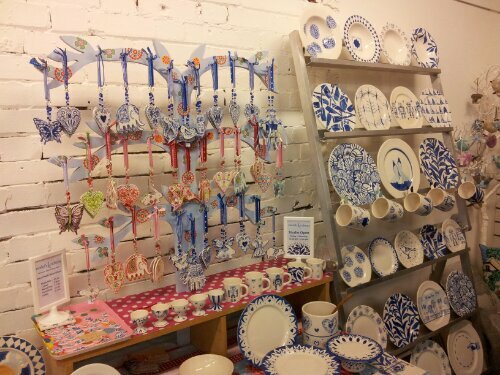 They sold other notions too, but compared to the stalls I’ve seen elsewhere (e.g. Ho Chi Minh) you could fit more in! I don’t know if it’s suitable, but I thought the pattern would make a pretty top. 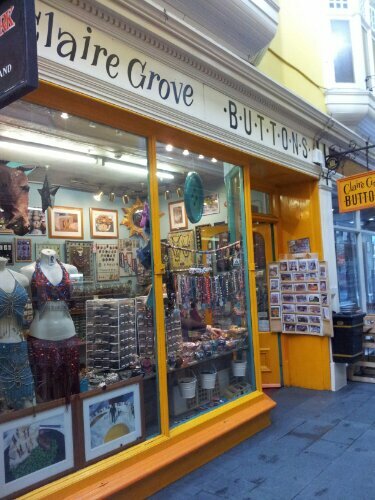 I have wondered how a button shop could survive, but whilst I was there I saw four customers come in and everyone bought something. One man came in with a suit jacket on which he’d broken a button. 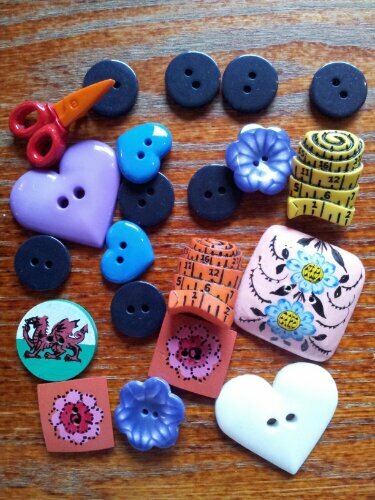 With a bit of help he choose new buttons for the front and smaller matching ones for the sleeves. As he left the shop assistant commented on him having a busy afternoon ahead sewing buttons, and his reply was that he was going to take it to the tailors! I dread to think how much that would cost! I thoroughly enjoyed my time in Cardiff with the girls after my little shopping spree. I know they’d not want to spend as long as I did in these places, but I’ll try to squeeze in more crafty shopping next time we’re there. Roll on September?! 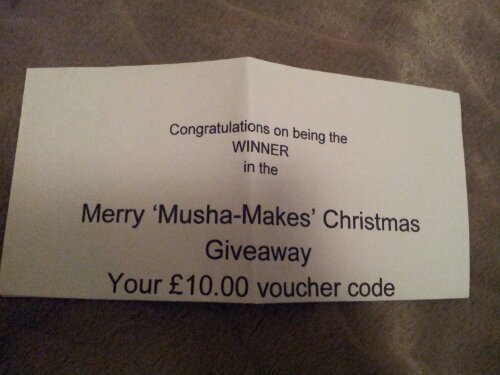 As part of my win from Musha-Makes, I got a £10 voucher code to use in the shop. Deciding what to get was tough, but I finally decided to get myself some things I want to try to give myself another reason to try something new. A square bag frame. I thought these would cost a lot more than this did! I now need to find a tutorial on how to use them. Do you know any good tutorials? Washi tape. I’ve seen this used in so many different ways. Do you use it? If so, what for? 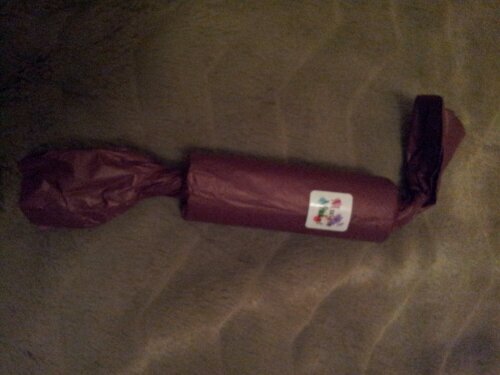 Each roll is 5m long, so I should hopefully be able to make lots with each one. 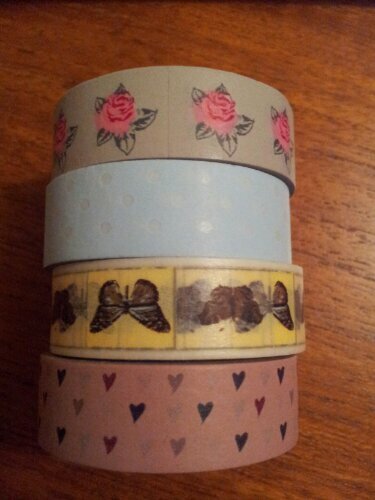 My particular favourites are the flower and heart tapes. 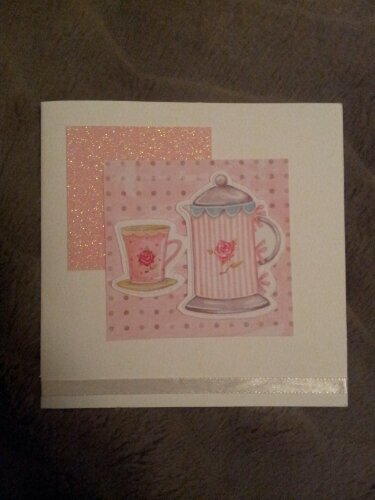 I’ll probably use them in card making, after all one of my aims for 2013 is to only send handmade cards. 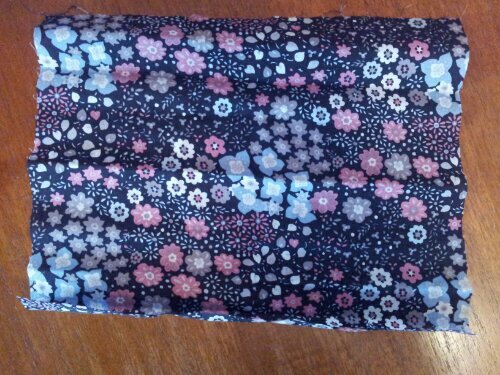 It’s a fat quarter of a pretty Tilda fabric (admittedly still in it’s packaging). 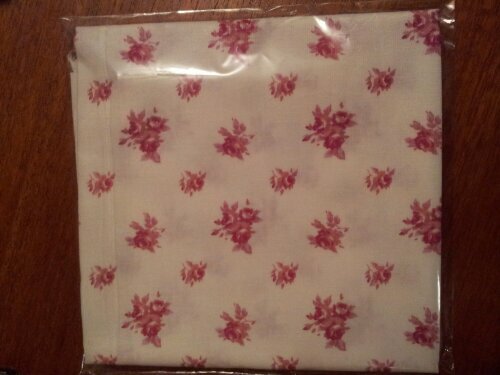 I never used to buy fat quarters, but as I’ve just made something (and will blog about it soon) out of under half a fat quarter, I have discovered that this is a way to add pretty fabrics to your stash without breaking the bank, and the size allows you to make something of a reasonable size. 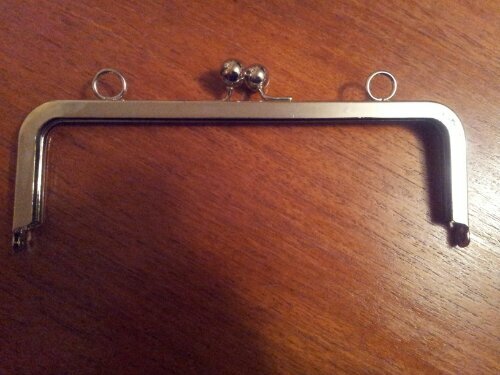 When I ordered it I thought it would be perfect to use to make a bag using the bag frame, but I may not. We’ll have to wait and see! I will share whatever i make with you. What would you use these for? On Christmas day I got a lovely email from Charlotte Searle, the brains behind anything with Musha in front. She not only wanted to wish me a Merry Christmas, but also wanted to let me know that I had won Musha Makes Christmas Giveaway. Woo Hoo! Today I found a parcel waiting for me leaning against the front door. I will admit at this point I had forgotten what the prize(s) were, so it was all a very pleasant surprise. Apologies for the dark photos – it may be a new year, but it’s not getting lighter earlier yet! The first thing I opened was the card. Isn’t it pretty? £10 to spend at Charlotte’s shop – Musha Makes. I can’t quite decide what to spend it on as there is so much choice! I will let you know what I eventually choose…. I hope Charlotte doesn’t mind me using her photo of a Tomte. Mine was very, very dark. 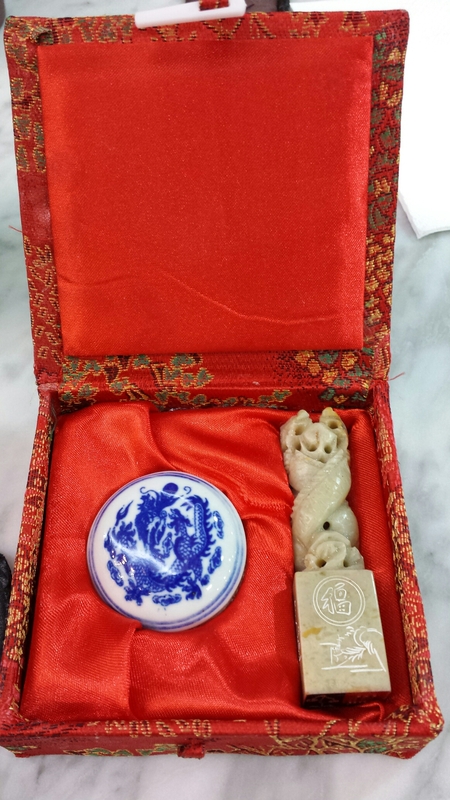 Unfortunately his nose had fallen off during his travels, but it’s already been fixed! I look forward to having him out next Christmas. 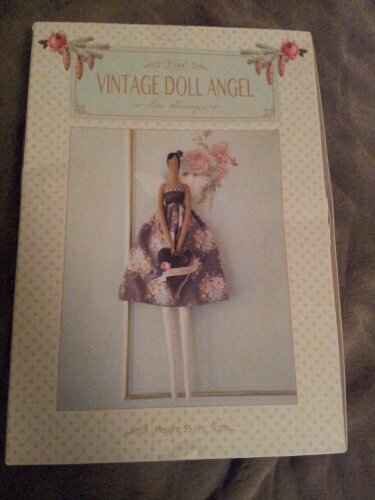 A Tilda Vintage Doll Kit. How lucky am I? 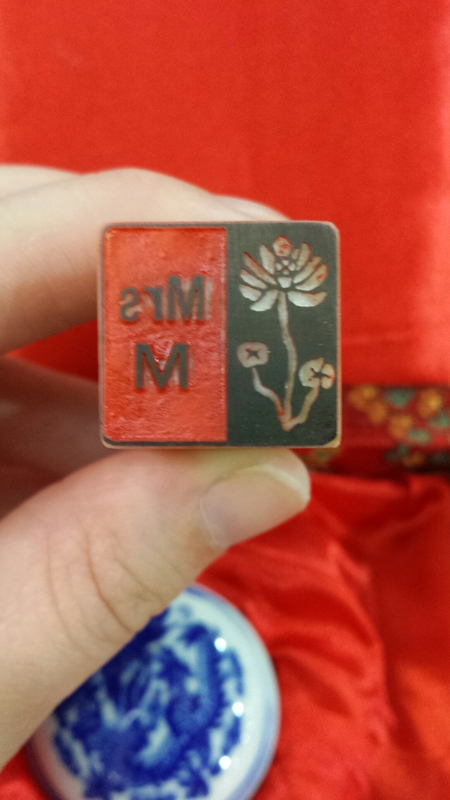 Musha Makes is an official Tilda retailer. I am looking forward to making this and wish I didn’t have to go back to work tomorrow, otherwise I’d be making this! I promise that I will show it to you when made. I have had a few giveaways on my blog, but have never won one, until Friday. 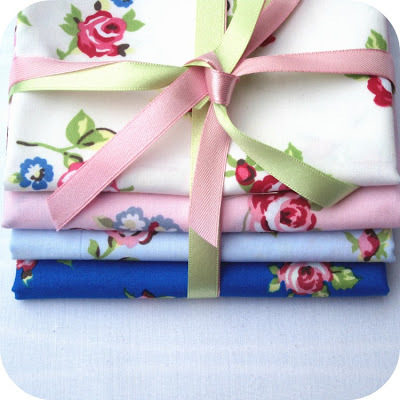 I read The Sewing Boutique’s blog as it has pretty fabric and great tutorials. The blog is a bit quieter than it used to be, but that is due to the success of the shop. 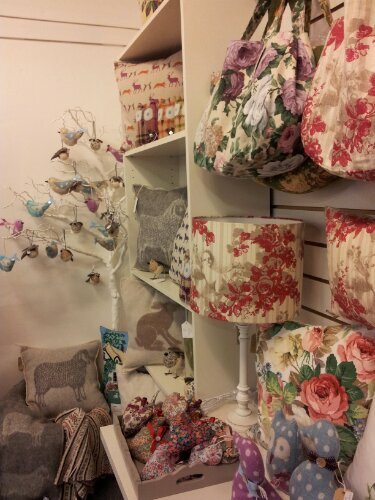 If you love fabric you will like The Sewing Boutique shop. 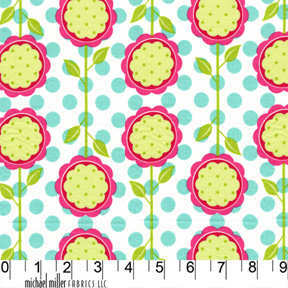 There are some lovely fabrics, such as this pretty Michael Miller Print, which is the favourite print of the week. 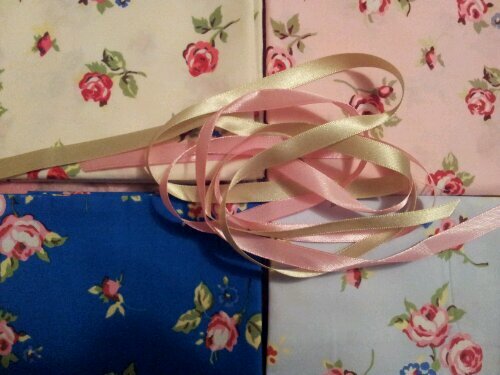 As well as all the fabric you can also get ribbon and lots of haberdashery bits. I love how postage charges are easy to understand and are very reasonable. The picture above is the one on the giveaway blog post. The photo below is one I took under artificial light after unpacking it all.